Because of a zip code discrepancy on the envelope, Experian sent Collins a letter seeking verification that he had in fact sent the dispute notification. Collins responded, requesting deletion of the debt, stating again that he didn’t owe the debt and that Equable had lost its suit to collect on the debt. Collins additionally included copies of his driver’s license and social security card, and listed his birth date. Experian then sent an automated consumer debt verification form to Equable who responded that the debt was valid. Relying upon the creditor’s verification, Experian took no further action to investigate and continued to report the account. Collin subsequently filed suit alleging that Experian’s investigation of the dispute was unreasonable and that Experian was liable for both negligent and willful violations of the FCRA. On appeal, the issue before the court was “whether an allegation of a violation of 1681i(a)…requires the consumer reporting agency to have disclosed the consumer’s credit report to a third party in order for a consumer to recover actual damages.” Collins at *1-2. 15 U.S.C. 1681o meanwhile provides for the recovery of actual damages for any negligent violation of the FCRA. 15 U.S.C. 1681o(a)(1). In distinguishing Collins from the majority of cases requiring a showing that the inaccurate information was published to a third party, the court relied upon the distinction between the terms “consumer report” and “file.” The court noted that 15 U.S.C. 15 U.S.C.1681i(a) sets forth the credit reporting agency’s duty to conduct a reasonable investigation of the completeness or accuracy of any item of information contained in a consumer’s file. 1681e(b), under which the majority of cases had been decided, required the consumer reporting agency to follow reasonable procedures to assure the maximum accuracy of a consumer report. A consumer report is defined by the FCRA as being any “written, or other communication of any information by a consumer reporting agency bearing on a consumer’s creditworthiness, credit standing, credit capacity…which is used or expected to be used or collected in whole or part for the purposes of serving as a factor in establishing the consumer’s eligibility for…credit or insurance…” 15 U.S.C. 1681a(d)(1) (emphasis added). A file, on the other hand, “when used in the connection with information on any consumer, means all of the information on that consumer recorded and retained by a consumer reporting agency regardless of how the information is stored.” 15 U.S.C. 1681a(g) (emphasis added). Because a “consumer report” requires communication to a third party and a file does not, the court held that “the plain language of the FCRA contains no requirement that the disputed information be published to a third party in order for a consumer to recover actual damages under 16 U.S.C. 1681i(a).” Collins at *13. If you have questions or would like more information on this topic, please contact attorney Caren D. Enloe at 919.250.2125 or by email at cenloe@smithdebnamlaw.com. 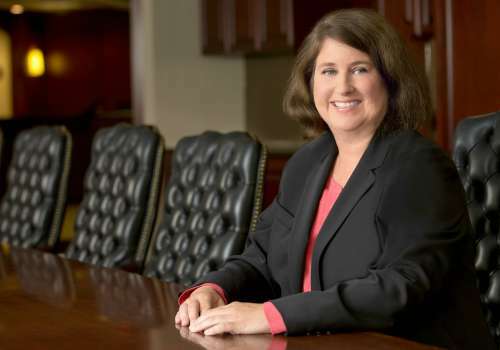 Caren Enloe is a partner who concentrates her practice in consumer financial services litigation and compliance, bankruptcy, and commercial litigation with an emphasis on creditor’s rights. She has a deep understanding of the complex compliance environment surrounding the financial services industry and regularly advises financial service companies on licensing and compliance issues involving state and federal consumer protection and finance statutes. Ms. Enloe is the author of a daily blog titled: Consumer Financial Services Litigation and Compliance where she posts timely and informative updates regarding the CFPB, FTC, and a host of topical litigation issues involving consumer protection law.